Embark on a transformative Journey of Self Exploration and become a Yoga Alliance International and Yoga Alliance certified Yoga instructor. You will learn to teach an inspiring, intuitive, and deeply meditative yoga practice and learn how to unify body, mind, and spirit through Yoga, Arts, Movement, Dance, Meditation and Shamanism. Learn how to apply tantric philosophy into your daily life and your relationships. Living in the ashram enables you to focus intensively on your training, away from everyday tasks and distractions, fully immersing themselves in a process of learning and self-discovery. You will discover the joy of deeply engaging in yogic practice and lifestyle without your usual responsibilities and away from the busyness of daily life. A close and energetic group environment is created to enable you to share your experience and learning process and thus, collectively deepen your understanding of the yoga practice. This course content is focused on Tantra yoga. Techniques of pranayama are taught in Tantra yoga and Kundalini yoga practices. You will also take part in morning meditations and chakra work through the Kundalini, Tantra yoga, and meditation practice. 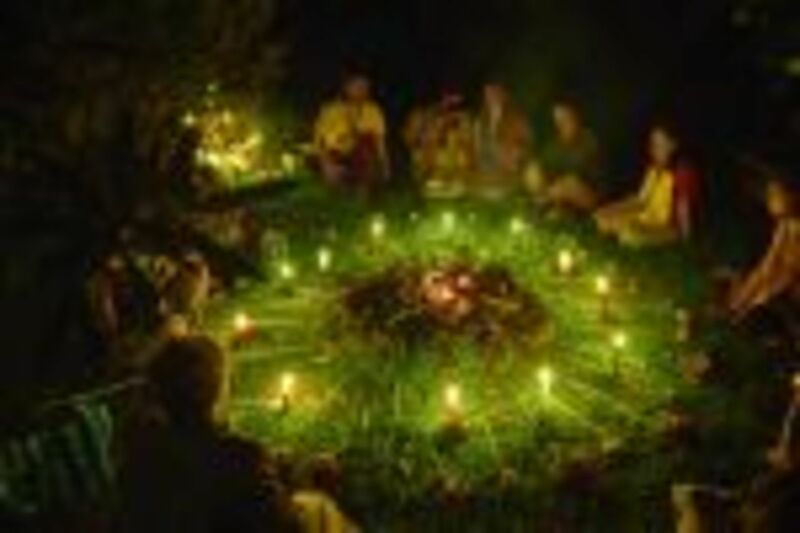 Other practices will be Heyoca, the shamanic clown, expressive arts of the being, shamanism and cosmovision, Tantric and shamanistic rituals, Durga’s Tiger dance, applied Tantra philosophy, and mantra chanting. You are given time for self-study, reflection, and practice teaching Tantra yoga classes with each other. During the course of the month, you will also complete a written project. 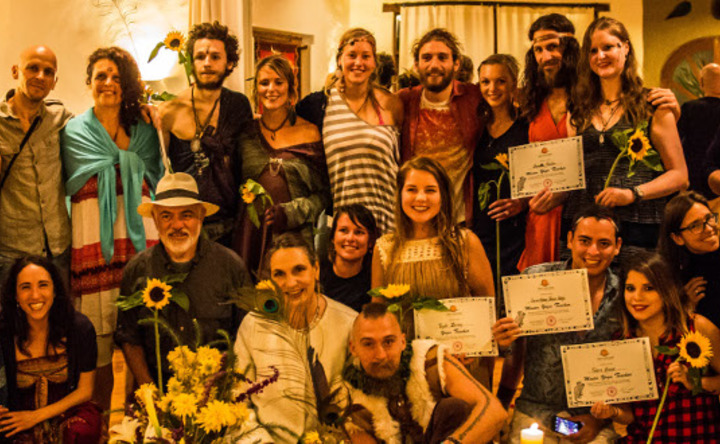 During theory and practical learning courses, you will experience a deeply personal work, exploring yourselves with applied Tantra philosophy, art, shamanism, and the Durga’s Tiger dance. 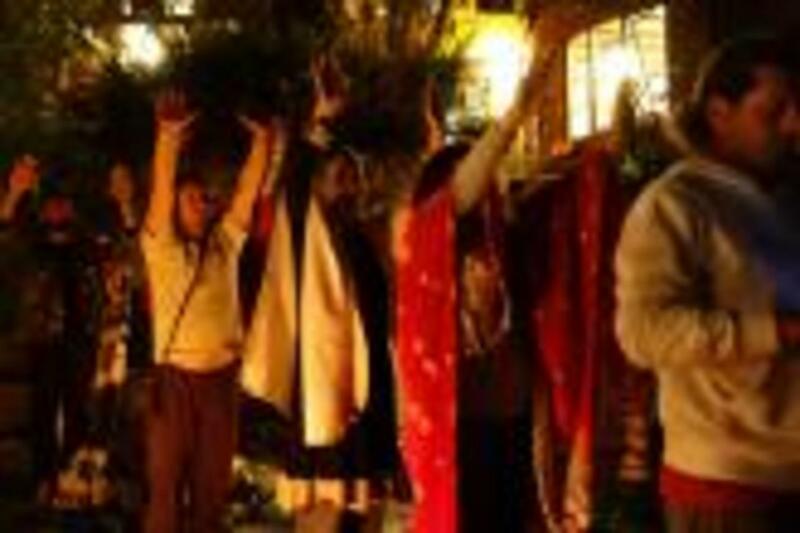 As Durga's Tiger School for Tantra Yoga Shamanism is living in Ecuador with a huge indigenous population, you also have the opportunity to learn about the Andean culture, its cosmovision, and its similarities with the eastern culture. During the course, shamanistic energy concepts are explored together with the Tibetan Tantric tradition. There are parallels in how these two different traditions understand energy, astrology, subtle anatomy, and physiology. This work helps Ecuadorian yoga students integrate more easily with the eastern wisdom. At the end of every training, there is the possibility to participate to a Jungle Yagé trip with Jose Zambrano, the creator of Mushuk Allpa Tours, who spent the last years in creating a sustainable contact with indigenous people and supporting them with conscious tourism and cooperation projects. The applied Tantric wisdom classes are an opportunity for self-discovery. As the course is based on the experience, you will create active and participative classes where you will work on some of the main aspects of Tantra. Durga’s Tiger dance, a form of movement developed by Iris Disse based on yoga energy work and different dance styles, is another form through which you will deepen your creativity and relaxation in the body movement. The training also involves the voice work through mantra chanting. You will approach the vision and methodology of the Kaula Tantra yoga practice in the classes of intuitive anatomy and physiology in which you will develop a connection with your inner body intelligence, learn how to read it better, and act according to its current needs. It is about the combined powers of the mind and the physical body and the effect of being totally in harmony with messages you perceive from your bodies in each moment. 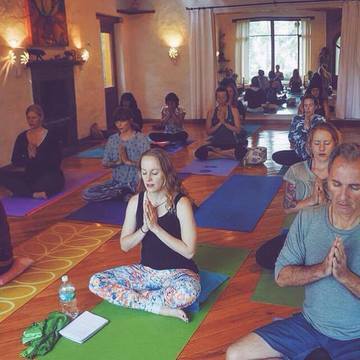 Karma yoga is the part of the learning process of community life. 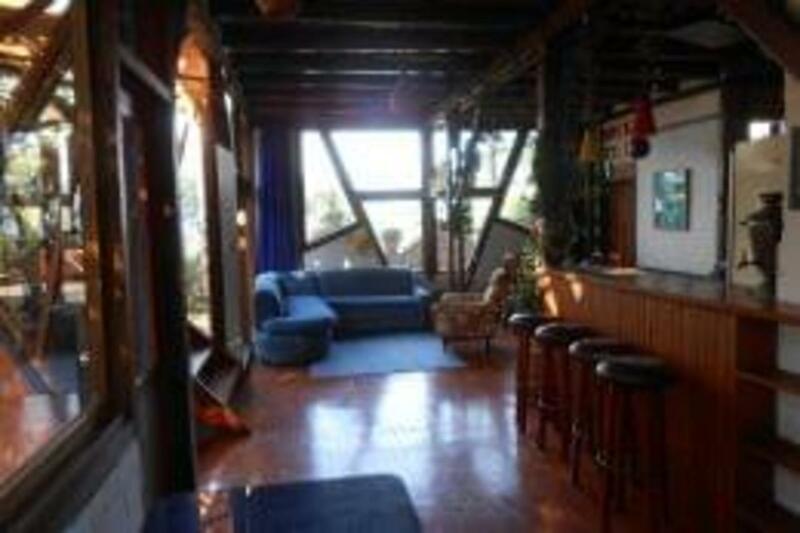 Durga's Tiger School for Tantra Yoga Shamanism helps each other to maintain common spaces and materials. You will take care of the “Pachamama” (Earth). Through Karma yoga, you will keep in contact with the earth and its fruits as you will contribute to the well being and learning of the group. 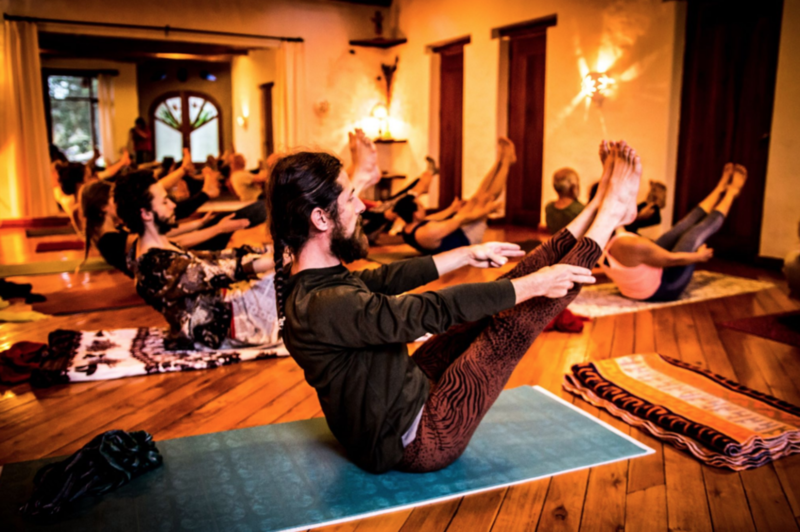 Through Kundalini yoga, you will deeply explore the pranayama techniques used in Kundalini, Tantra yoga, and the chakras system. You will practice specific Kriyas to feel chakras and work with their energy. Tantra yoga methodology, ayurvedic walking massage, and Partner yoga are also part of the program. With Partner yoga, you will discover the joy and the importance of support and be supported. The challenge is to take care of the sacred space dancing between you and your partner, and you will experience the joy of giving and receiving. You will practice in silence to not distract the other senses from the flow of the practice and concentration in one-self and also in the other. It is a work of active listening to feel until which point the other can arrive. 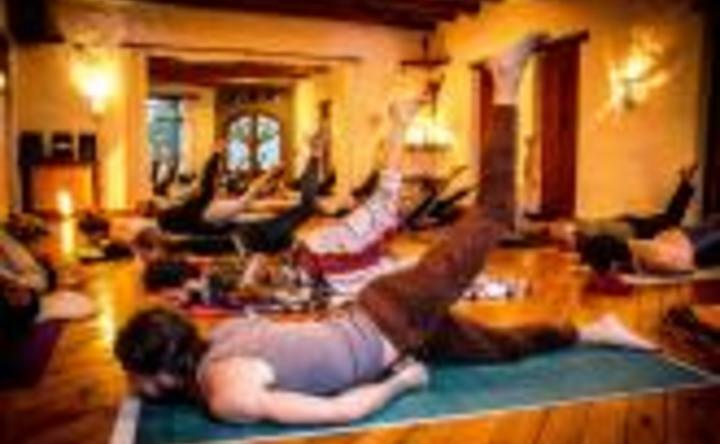 In these classes, you will keep on working on many asanas of the Kaula Tantra yoga series, using the approach of Tantric wisdom, in which you will focus in presence, senses, connection, body communication, more than acrobatics. In this way, you will create the dance of Shiva and Shakti. 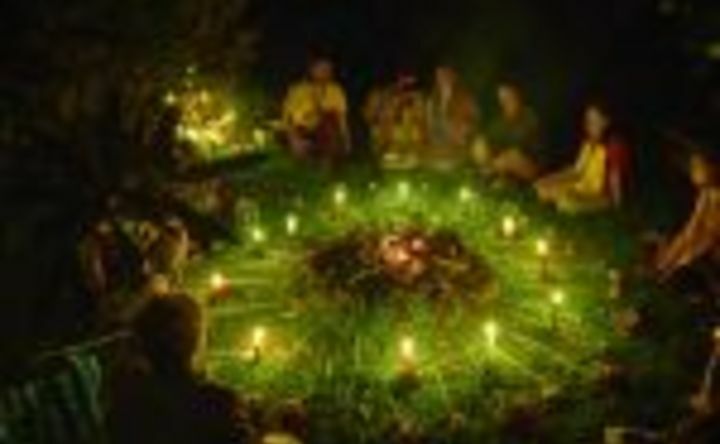 Shamanic clown is an energetic training that combines improvisation, clowning, dancing, musical or rhythm work, meditation, and practical shamanism among other things. This work is a fusion of tools and experiences that can be used in art and life. You will get in touch with your inner child and intuition, develop the right side of the brain and lateral thinking, release patterns and blocking, open your ears and eyes to the present moment and to others, work in group in more effective and loving ways, and increase your creativity and artistic skills by looking at things in a completely new perspective. The clown is an archetype that repeats its presence throughout many cosmovisions in human history from the east to the west, ancient, and contemporary. Tantra yoga works with deep relaxation. You will learn the feeling of flowing into the asanas without the struggle, developing a deep form of yoga and meditation. This technique is completed by the practice of bandhas, pranayama, mantra chanting, sitting meditation, and Kundalini Kriyas. You will explore Tantra yogic lifestyle, philosophy, and arts. Together, you will discover ways in which to implement the yoga experience into everyday life. Through the Tantra teachings, you will learn about the energetic exchange between Shiva and Shakti, the two polarities, and how to integrate sexual energy into their yoga exploration. 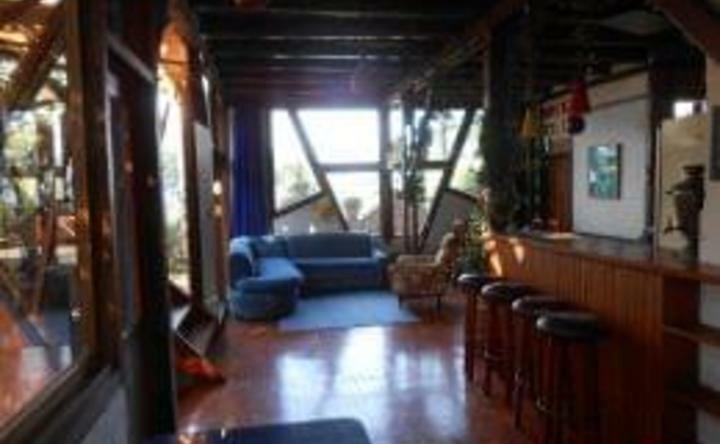 The yoga retreat will take place in Casa Kiliku, in the Andes of Ecuador, close to the capital Quito, and on the edge of a natural reserve. 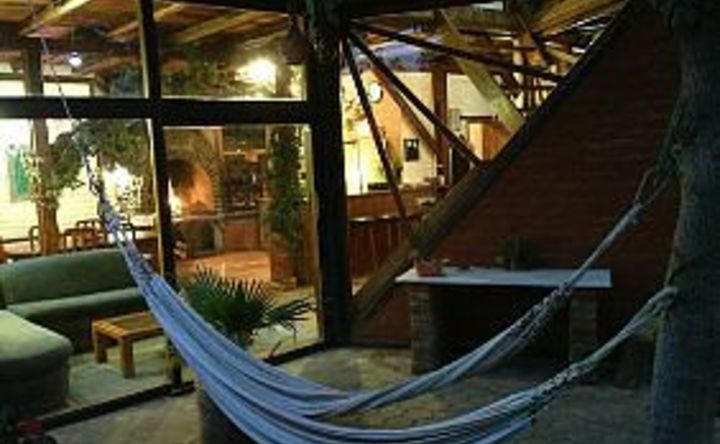 You will be located three kilometers from the village of Tumbaco surrounded by high trees and mountains. The Kiliku is a little hawk living here on the volcano, the Ilal. For them, this is the symbol of freedom and as he is seeing the reality from high above. It means that this place helps the yoginis to get a distance from their everyday life to fly into the experience of living in a yoga ashram, enjoying the green garden surrounding with flowers and old trees. During this training, you will enjoy three daily vegetarian and locally sourced meals. All meals are always prepared with a lot of love mixing the Ecuadorian tradition with healthy and conscious recipes. Fresh fruits and vegetables are also available. If you have some allergy or specific need of special menu, Durga's Tiger School for Tantra Yoga Shamanism can serve vegan or gluten-free menus for a supplement of 5 USD per day. Arriving from Quito you’ll enter in Tumbaco through the Interoceánica. You will see a Santa María supermarket on your right, keep going straight on for about one kilometer more. Turn right on Guayaquil Street, opposite a “Gasolinera Primax” (gas station) by the “Semaforo” light. Drive towards the “Colegio Pachamama,” cross a bridge over the “Ruta Viva” highway, until you get to a big football field in Rumihuaico area (Comuna Leopoldo Chávez). Go straight up to the hill, after 100 meters the street makes a Y split. Then you keep right (the opposite direction from Pachamama) uphill on the new paved road. Continue 1.5 kilometers, more or less, and on the right side you will see a blue house. Casa Kiliku is directly behind it. Look for the little sign that says “Casa Kiliku lote 169”. If you arrive by the Ruta Viva from Quito take the exit after “Intervalles,” just after the 8th Km. This entrance doesn’t have a sign, it’s located between “Intervalles” exit and “Tola Chica” exit. It goes up to a bridge that connects with “Calle Carchi”. When you arrive up to the bridge you turn right and continue until you reach Rumihuaico football field. From there follow directions as explained above. From the airport by the Ruta Viva you enter after “Tola Chica” exit. (KM 8th). When you get to the bridge that connects with “Calle Carchi”, you turn left. Iris Disse and David Höner created the vision for a school, where people could learn different skills to develop awareness, spirituality, creativity and the power, to integrate their true self into society. We hope, that this helps to create a more peaceful world where people develop their lives in creativity and in harmony with the sacred law. That includes for us the acceptance to be co responsible for what is going on in the world, and that we decide to be part of the solution and not of the problem.The Durga’s Tiger School forms part of Casa Kiliku, a centre focused on integral development: conscience, arts, and society.Casa Kiliku is an ecological place created by artists. The houses are built by materials from our volcano, with bricks or adobe and wood. Every space is unique. You can stay on the big terrace and chat with others. 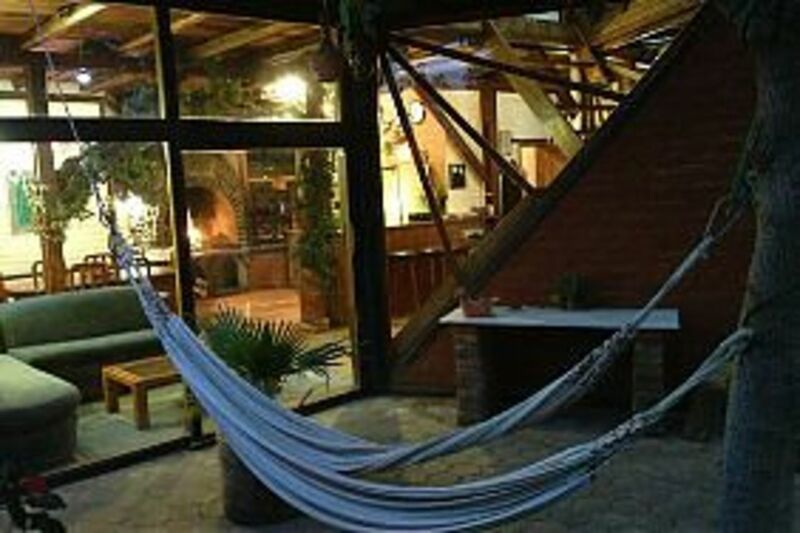 Or just lie in the hammock and read or meditate on treetops dancing in the wind.For us it is pure luxury to offer a retreat place in a rural environment at the edge of the ecological reserve Ilaló and so close to the centre of Quito, 25 minutes by car.Each teacher training group consists of a maximum of 16 students facilitated by a competent and engaging, international teaching team.Living in the ashram enables students to focus intensively on their training, away from every day tasks and distractions, fully immersing themselves in a process of learning and self-discovery. 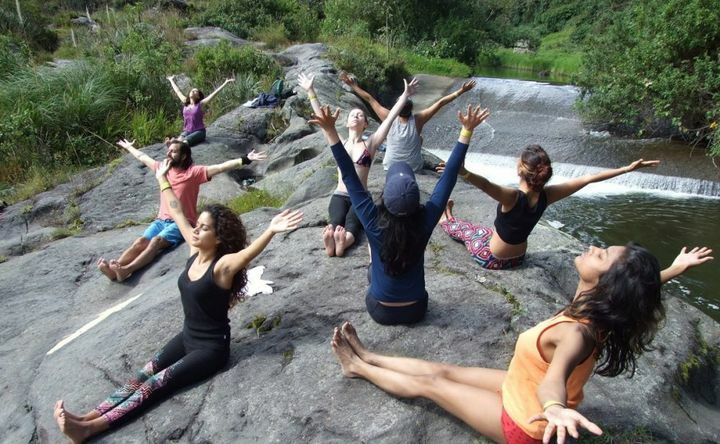 Students discover the joy of deeply engaging in yogic practice and lifestyle without their usual responsibilities and away from busyness of daily life. A close, and energetic group environment is created to enable students to share their experience and learning process and thus collectively deepen their understanding of the yoga practice. 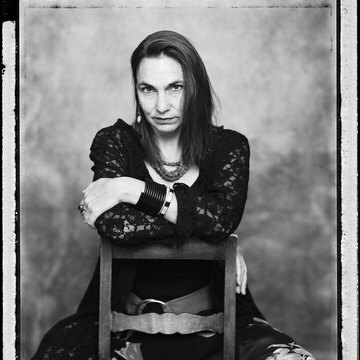 Iris is a German artist, who works in Latin America and Europe as an internationally renowned film maker. Her documentaries and movies reflect the social reality of the indigenous people in Latin America and Indonesia. Until 1995 she was a well-known actress for German TV and theatre. She subsequently worked as a theatre director in Berlin, Hamburg and Vienna. She is a prize-winning sound artist and maintains some involvement in this fields. 1988-1993 she become interested in meditation, breathing, singing and dancing as spiritual techniques with the Sufimaster Pir Vilayat Inayat Kahn. Every year she participated in monthly retreats in the Alps. 1993-1995 she trained in Yoga Tantra with a range of teachers including Margo Anand, Doris Christinger and Peter Schröter from Sky Dancing Tantra, Diana Richardson, Kutira and Allan Lowen. She has been practicing Tantra for the last 20 years together with her partner, David Höner. Iris and David have been teaching Tantra in different parts of the world since 1996 and Iris currently presents this knowledge at the University of Quito (Universidad Andina Simón Bolívar) and Durga’s Tiger School. Working since 1994 with indigenous people in Latin America and Indonesia, she become heavily involved with Shamanistic Energy work. In February, 2013 Iris completed a 500 hour, advanced Tantra Yoga Certification with the traditional tantric Bhagavan, Shri Shanmukha Anantha Natha in Southern India. She is initiated in Shri Vidya Tantra and certified as a YAI (Yoga Alliance International) Master Yoga teacher. For yogis who interested in studying in India she can highly recommend Shri Kali Ashram. Since 2000 Iris has been developing Durga’s Tiger Teachings incorporating Tantra Yoga, tantric Philosophy and Shamanism. Her Durga’s Tiger Dance Meditation is a powerful fusion of yoga energy work implemented in different dance stiles. The training involves voice work like chanting. Daniela was born and grew up in Italy. After some years traveling as tour guide, she decided to settle in Granada, Spain, where she started to studied in the “Sol y Luna” school. In 2005 she began studying ayurvedic medicine with the study of abhyanga massage and marma treatments. In 2006 Daniela was certified as ayurveda massage therapist by APTN_COFENAT. This same year she began to study shiatsu and traditional chinese medicine. Thanks to this beautiful 4 year path, in which Daniela gained an understanding of the functioning of nature’s elements and their relationship with the body, she can integrate the knowledge of these two ancient arts of healing. Ayurveda medicine and chinese medicine have many things in common. In 2010 she was certified as a shiatsu therapist by A.P.S.E. Daniela’s love for shiatsu and the practice with patients, stimulated her to deepen her study, participating in 2010 in an intensive course about “Diagnostic and work with chakras” with Diego Sanchez, teacher from Uruguay. In 2011 she attended a postgraduate course about “Shiatsu and menstruation” with Marina De Franceschi from Italy. She began to regularly practice Qi Gong in order to be in good health and energetically strong while working with patients. Between 2010 and 2012 she trained at “Sol Y Luna” school to become a Qi Gong teacher. Daniela taught and worked with shiatsu in a number of differens centers in Granada, ArtesSanas en Movimiento which is a creative project where she could meet professionals of other disciplines and exchange methodologies of yoga practices, Qi Gong techniques and classical indian dance. Between 2011 and 2012 she travelled in India where she practiced hatha yoga (as yoga vacation) in Sivananda Ashram in Neyyr Dam and experience a treatment in Parathuvayalil ayurvedic hospital in Cochin. Since arriving in Ecuador Daniela has been training in Tantra Yoga with Iris Disse and assisting with the creation of Durga’s Tiger School. She’s now certified as Master Yoga Teacher (500 hours) in Tantra Yoga. In 2017 she attended a course a Ovariuos Breath and gort certification to give courses. In February 2018 she got 100hrs certification of Yoga Teacher for pregnancyIn the school, she is giving active meditation classes and tantra yoga classes. Laura was born in Chile, grew up in a village in the south, Buena Paz, where she learned to respect and love nature. In 2006, she understood that her path was to improve the lives of others, so she began her studies in Social work- Laura practiced social work for 3 years in the “Fundación Consejo de Defensa del Niño”, which objective is “To promote children rights and improve the right of compensation in cases where they have been damaged.” She became disillusioned by traditional therapy methods and wanted to expand her knowledge. She studied “Bach Flower essences”, remedies for the Soul. During this process she understood that as the matter evolves, the same way the Soul evolves. She began to give importance to emotions rather than just reasoning. To the senses more than the figure, to feel more than know, to live more than to have. In 2012 she was certified as Floral Therapist end she participated to the National Congress of Bach Flowers for children. She practiced her profession as floral therapist with children, teenagers and adults, focusing on therapies for women Here she found a mystic and sacred environment in the “Durga’s Tiger School”. During her training here she was able to go deep inside her yogic experience, reinforcing her beliefs and supporting her ideals. Laura taught yoga classes to children and teenagers in the School of Arab dances “Brigitte Saunders” (Valle de los Chillos) and now offers regular classes in the Cultural Centre Kay Miravalles and in Casa Kiliku. She’s also the fouder of “Bien-estar Yoga” centred in personal and private yoga classes. I’ve born in Cuenca, Ecuador. I started to approach to Yoga since early age, when my mother was going to a school of self-fulfiment and she brang me with her sometimes; I will never forget this seed which would bloom some years later…. I grew up in a spiritual environment, my family took on vegetarianism as a lifestyle. I was surrounded by self-realization books and I found one in particular: Yug Yoga Yoghismo from Dr. Serge Raynaud de la Ferriere, with which I started introduce myself to yoga at a young age; from that moment I started journey of self-discovery. Gaby started her Kundalini Yoga practice in 2008. 2010 she studied with Master Teachers as: Nam Nidhan Kaur Kalsa, Pritampal Singh Kalsa, Prabhu Nam Kaur and Sat Jiwan Singh to be Kundalini Yoga teacher. 2010 She was certified as Yoga Teacher for children by the Radiant Child program created by the teacher Shakta Kaur and Yoga Crecer from the teacher Prabhu Nam Kaur 2011 She participated in the International European Yoga Festival in France 2012 From 2010 to 2012, she has been the creator of the Yoga program for teachers and children in the school “Ludoteca” 2013 She realized two teacher trainings in Yoga and Biomechánics untill 2014 2015 She trained as Practitioner in PNL in the “Instituto Latinoamericano de Coaching y Terapia” In her constant search to balance her health, she has organized macrobiotic alimentation courses, ayurveda and raw food courses. Now she’s studying coaching for health and nutrition and integrates yoga and nutrition as a lifestyle. “I am not a yogi, but I have practiced Tantra for the past 20 years.” – David Höner Together with my partner Iris, I live and learn the tantric path for the health of our relationship and my own personal development. I have a lot of experience that allows me to share this knowledge with the students coming to study at Durga’s Tiger School. As a manager of a little humanitary Organization, Cuisines sans frontières, I am a traveller in many countries. David is a an artist, writer and journalist, always interested in the search of the “buen vivir” (good living) path for himself and for the society. In all these aspects of my life I include the opening to the spiritual, and the search of the “third path”. I like to share this search, with visitors in our place. Born in Argentina. Artist. He is an experimentalist who works with an investigation of art and therapy, mainly using different aspects of improvisation and experimental languages in Theatre, Clown, Dance, Music, Shamanism. Nicolas has been investigating and creating in the last 10 years, developing his personal style in performance, stage direction and pedagogy. Combining his artistic vocation with travels he has presented himself in many different types of audiences and developed workshops and seminaries about Clowning, Contact Improvisation and Creative Processes in a number of Latin American Countries: Argentina, Peru, Colombia & Ecuador. In 2014 Nicolas was invited to teach classes in Viena, Austria, Germany and France, where he directed individual and group acts. His travels brought him to study in-depth with the magic world of Andean-Amazonian, Shamanism. He lived with indigenous tribes and native peoples of South America, exploring rituals and traditions, participating in humanitarian projects in areas of conflict areas during social emergencies. In the art scene he trained Clowns, Lecoq Technique, Masks, Comedy, Improvisation, anthropological theatre and scene director. He also explored different body techniques and languages like the circus, contemporary dance, instant composition (soundpainting), capoeira, yoga and fencing among other things. Now he is specialized in contact dance, which is the base of his current investigation and training. In his acts he highlights points of connection between structure and improvisation, game and collective unconscious, arts and healing, shamanism and paradigm change. Some of his teachers: Marcelo Savignone, Cristina Marti, Gustavo Lecce, Victor Stivelman, Taita Querubin Queta entre otros. With his company Mystic Jongleur he developed two personas “Cantos Cuentados” and “Carloncho!”, with which he presented himself in a number of international festivals. From United States. A teacher of Tantra yoga & meditation, Erica embarked on her yogic journey in 2006, practicing and studying Yin Yoga for a number of years with “Sunshine” Celesti. From here she began to explore and develop her own practice, drawing influence from Ashtanga, Vinyasa, Kundalini, Acro-Yoga and finally tantric yoga with Durga’s Tiger School. 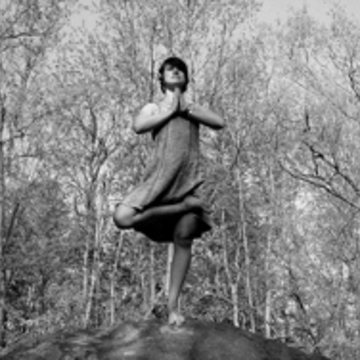 In addition to her yogic practice, Erica involves herself in art, performance and teaching. She has played with Capoeria and attended many Afro-Cuban & Afro-Brazilian dance workshops with Donna Oefinger, the director of the Axe Dide Dance Company in Portland, Oregon. After graduating from the Columbus College of Art and Design in 2007, she moved on to receive her Masters in Fine Art from the University of Cincinnati in 2012 n 2011 Erica received a Travel Grant for a photographic documentary project working with the indigenous peoples of Ecuador. While traveling for this project she fell in love with the energy of this country! She has intensively studied plant medicine, holistic health-care and herbalism for many years and continues to work with Shamanistic communities & power plants in both the US & South America. Erica strives to infuse all aspects of her life with the tantric philosophy. She believes that all people have a right to treat themselves with kindness and work to achieve a state of balance. Namaste!